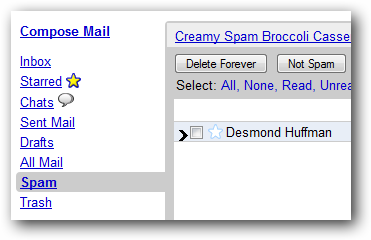 If you are a Gmail user, you’ve probably noticed the annoying unread message count for the Spam folder. It’s even worse when you use an IMAP client to access your email, and then try and use a search folder for unread mail… which gives you nothing but spam. 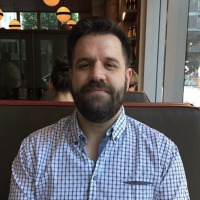 What we’ll do is use Gmail’s filter capabilities to create a filter that automatically marks spam messages as read, preventing the unread count from appearing anywhere. 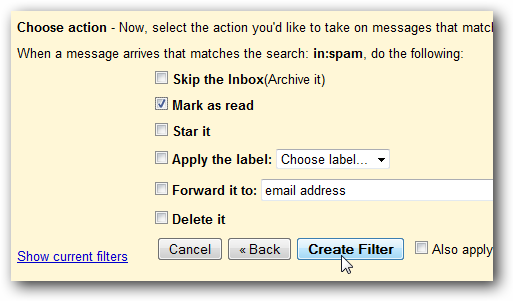 Open up Gmail and then click the link to create a new filter. 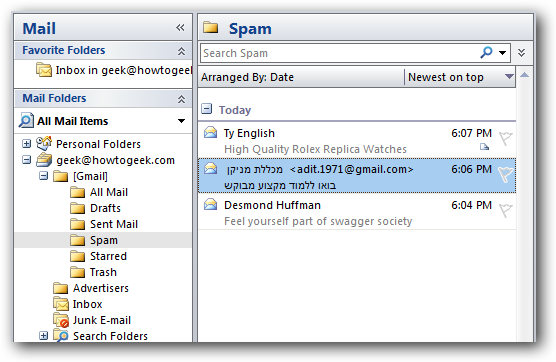 In the “Has the words” box, enter “in:spam” (without the quotes) as you can see in the image below. 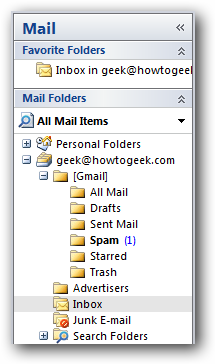 You can use the Test Search button to make sure it shows just spam emails. Now click the Next Step button, and ignore the error message you get. Select the checkbox for “Mark as read”, and then click the Create Filter button. Note that you could auto-delete all spam using this same filter, although I’m not recommending that. I don’t understand why some of this spam isn’t just automatically deleted.